Applied statistics is the practice of data analysis: using advanced statistical inferences, models, and theories to find the meaning in large sets of real data. With unprecedented access to data, companies need data analysts and data scientists who can make sense of this information, communicate it, and turn it into positive, actionable change. Though it’s like applied statistics, data science isn’t the same exact concept. Data science is also about extracting information from data, but it’s a bit closer to the intersection of applied statistics and computer science. Mastery in data science requires knowledge in applied statistics, data analysis, software programming, machine learning (the process of teaching computers to learn, understand, and process data without being explicitly programmed to do so), and computer science. Like data analysts, data scientists analyze robust sets of data, but they take it one step further and use that analysis to build machine learning models and data products. Despite its differences, applied statistics remains an important foundation of both data analysis and data science. As a result, software developers, engineers, and programmers looking to move into data science roles can benefit from studying applied statistics. Computer scientists often already have the programming knowledge; studying applied statistics gives them the advanced quantitative skills needed too. Where do people with applied statistics master’s degrees work? Data analysts and data scientists work in an array of industries, from manufacturing and agriculture to marketing and technology. Data science is still an emerging role: The term was only first coined at Facebook and LinkedIn in 2008, and those companies still have robust data science teams today. Data scientists help develop self-driving cars, improve online language-translation tools, and other next-level technologies at Google; they analyze and create new user-friendly algorithms at Netflix and Amazon; and they help major banks and financial institutions improve their fraud detection methods. Applied statistics can work on political campaigns, and use data to improve voter outreach. They can also help government organizations shape public policy: For example, a data scientist helped the Chicago Department of Health use applied statistics to figure out which children in the community are most likely being exposed to lead. Beyond data science, applied statistics graduates also work as data researchers, machine-learning engineers, SAS programmers, and more. Many people who work with data or have backgrounds in computer science may want to study applied statistics at the graduate level to pursue a career in the emerging field of data science. What skills do data scientists and data analysts need? Applied statistics is the foundation of both data analysis and data science. Data scientists need a solid understanding of applied statistics, software programming, machine learning, and communication. They need to be able to go beyond computer science’s traditional rules-based approach and apply advanced statistical theories to robust sets of data. 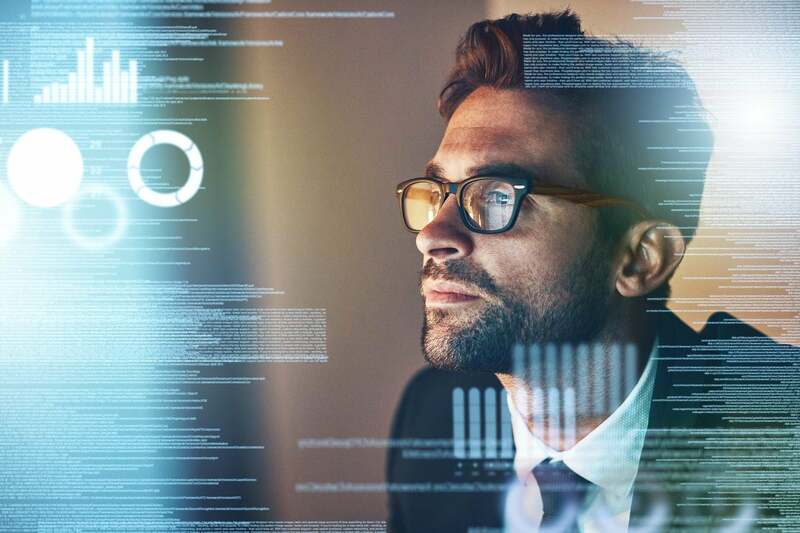 Because “data scientist” is still such a relatively new role – with job requirements and responsibilities that can vary from company to company – data science graduate programs are still new and evolving. That said, many people who study applied statistics are able to successfully pursue careers in data science. Data scientists must be proficient in machine learning – the process of getting computers to learn, understand, and process data without programming them. Beyond cleaning and analyzing large sets of data, data scientists also improve machine-learning tools over time by creating new algorithms and building new automated analysis tools. Beyond solid applied statistics skills, programming knowledge, and machine-learning expertise, data scientists are also expected to be great communicators – it’s their job to report findings, innovations, and recommendations to executive and leaders who may not have as solid of an understanding of data as they do. Computer scientists who work in the fields of probabilistic, deterministic, and statistical machine learning have to apply statistical algorithms and probability models to train computers and software programs to make decisions and collect the right data. They can benefit from an in-depth knowledge of applied statistics. Professionals that have studied computer science – software development engineers, software programmers, Java developers, and systems engineers – are already well versed in computer programming, software, and operating systems. As companies continue to gain more access to insane amounts of data, the people analyzing that data need not only great applied statistics skills, but advanced programming skills too. As a result, computer scientists make great candidates for moving into data analyst or data scientist roles. Why is applied statistics in demand? Professionals with advanced applied statistics, machine learning, and computer science knowledge are in high demand – not only for those interested in the emerging field of data science, but for other data analysis roles too. A career as a data scientist can be lucrative and well-paying. It’s also still a little bit interdisciplinary and undefined: Some companies lean more toward the programming and developing side of the spectrum, while others value applied statistics and data analysis skills. To advance in the industry, it’s a smart move to complement a strong computer science background with advanced applied statistics study. Am I a good fit for studying applied statistics? You already have strong programming and software engineering skills, but you’d like to gain more quantitative skills and applied statistics knowledge. This may be especially true for computer scientists looking to sharpen their skills or pursue an advanced role that’s more involved with data analysis. Computer scientists, programmers, software developers, data scientists, and data analysts all have these skills in common: technology, math, and programming. Sometimes in computer science related fields, probability may not come into play – the unknown, for computer scientists, is a non-determinism. The unknown, for data analysts and data scientists, fuels their fire. Bonus: Computer science undergraduate degree programs provide strong prerequisites for an applied statistics master’s program. You’re a software engineer interested in becoming a data scientist. Many engineers may already understand the tools used to collect, manage, and analyze data, including spreadsheets (Tableau, Google Analytics), statistical software (R, SAS, SPSS, JMP, Minitab), and programming/coding languages (Python, Hadoop, SQL). You’re comfortable learning new programming languages, you’ve got the tech skills, and you’re a problem solver – but to really solve the problems in big sets of data, you need an advanced knowledge of applied statistics methods and theories. What’s covered in an applied statistics master’s degree program? An applied statistics program provides students with the advanced statistic skills that great data analysts and data scientists need to think critically about data. The foundation of most programs revolves around statistical theories and methods: linear regression, predictive modeling, regression analysis, computational statistics, time series analysis, statistical data mining, and more. In an applied statistics program, students will perform hypothesis testing and data analysis experiments on real world, complete, and incomplete sets of data. They’ll sharpen their programming skills by learning programs like R, Hadoop and the SAS software suite. Some applied statistics programs will also introduce students to machine learning through decision tree models and algorithms (developing classification systems that classify or predict future observations based on a set of rules) and Gaussian mixture models (a type of probability model with finite numbers). Beyond the quantitative skills covered in an applied statistics curriculum, these programs set out to teach students how to understand and visualize their analysis, how their analysis can benefit a business – and how to communicate that benefit. What are the current job opportunities for data scientists? Those with master’s degrees in applied statistics may be solid candidates for many statistics-, data analysis- and data science-related jobs. Applied statistics and computer science expertise opens the doors for even more opportunities. These careers may be a good fit, based on recent online job postings. These professionals are data experts responsible for designing, creating, and organizing the systems that store data. They look at all the big data a company has access to, and determine the proper way to store, organize, and protect it. Current employers are looking for applicants with a computer science background, plus experience in data storage, analytics, applied statistics, software engineering, Hadoop, SQL, and more. Data scientist job postings vary: some companies focus on programming and technical expertise, while others want candidates with business or applied statistics backgrounds. That’s why when looking to move into the field of data science, it’s important to find the available jobs that most line up with your own distinctive skill set. That said, most data scientist roles require a mix of applied statistics and computer science skills, with programming knowledge and communications chops also valued. Current job listings seek candidates with strong backgrounds in database systems, applied statistics, and programming languages like Python, Java, and C++. These data science professionals work in research and development, coming up with and incorporating new and custom machine-learning methods into data collection and analysis. The field of machine learning is still relatively new, and many employers are looking for critical thinkers who can pioneer data innovation in fields like health and medicine, finance, and more. Typically, these researchers are at PhD or master’s level. While machine-learning researchers focus on diving into artificial intelligence to develop new methods of machine learning, these engineers take those machine learning research and methods – natural language understanding, deep learning, information retrieval, knowledge extraction, and more – and apply them to existing products or services. Current job listings seek engineers with backgrounds in computer science, software engineering and development, mathematics, and strong analytical skills. Intelligent automation combines artificial intelligence (machine learning) and automation to take vast amounts of data and automate process and workflows. (Think Google’s self-driving cars, IBM’s Watson, and smart insurance claim-processing software.) Companies want professionals with data science and engineering backgrounds, plus programming knowledge and deep analytics skills. SAS stands for Statistical Analysis System, and these programmers are IT professionals with a focus on the technical side of data collection and analysis. Their role includes using applied statistics, data management, and predictive modeling to write programs that help statisticians and businesses analyze productivity and increase efficiency. SAS Programmers help biostatisticians collect data for medical product testing, for example, or work for a government organization to affect public policy. Most SAS programmers have a degree in computer science or applied statistics, plus deep knowledge of the SAS software suite. 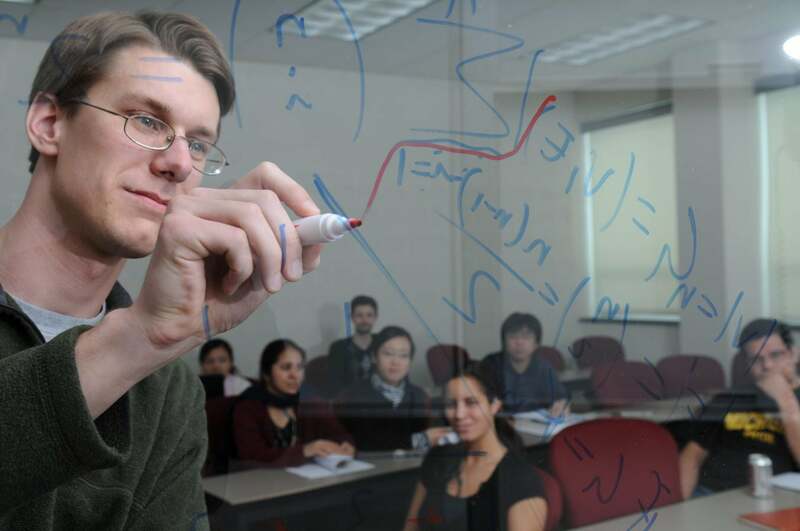 A high-level, math-focused program, Michigan Technological University’s online Applied Statistics Master of Science degree teaches students to think critically about data – by teaching students how to analyze and understand huge, real-word data sets. The flexible degree program gives students working full-time the ability to keep their jobs and focus on their applied statistics studies at the same time. Throughout this program, students combine tested statistical techniques with emerging technologies, become familiar with industry software tools, work with real data, and build the professional skills to be able to communicate their data analysis like an expert.